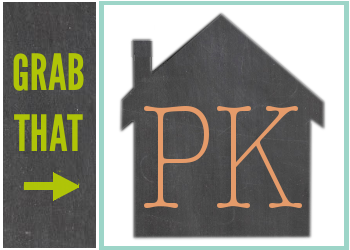 The PK House : So. So. The thing is, I haven't blogged on this little family blog of mine in almost a y e a r. It makes me so sad to look at this last post and realize all the things that I've missed out on documenting. So many sweet and precious moments. 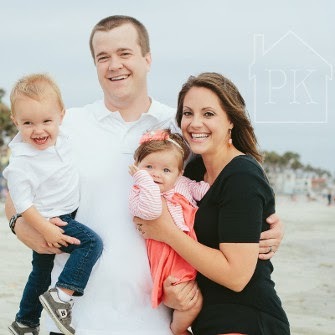 I spend so much time on the internet for Pretty Providence, I finally decided that it's a tiny bit ridiculous that I can't take a little time each week to keep a record of my little family, the most important thing in my life, other than the gospel of Jesus Christ. I enlisted Sar to help me give the blog a little makeover, so that it was a space I could be proud of and excited about. Holy cow, is she talented or what? It only took her like a day, too. My goal is to blog at least once a week. I also might try to catch up on a few things I've missed here at first like, um... we had a daughter!! Ha. She is all my hopes and dreams, by the way. I will mainly be blogging about my family (for posterity, you know) but also about my thoughts, hopes, dreams, inspirations, and you know.. whatever I want, haha. Basically what I'm trying to get at is, I'm back. If you'd like to follow along, I'd love to have you! If not, no big deal, I love this little internet corner of mine, even if only my mama reads it.